Combine all ingredients except the toppings in the blender. Pulse on low until smooth. 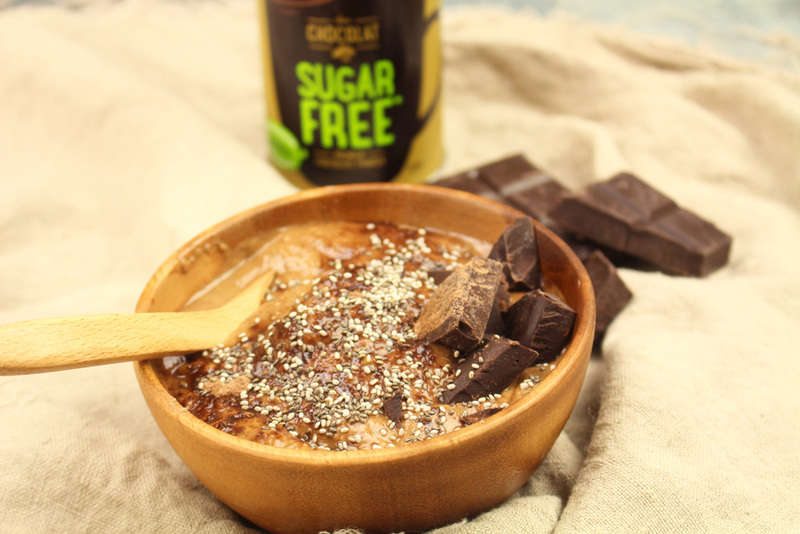 Pour into a bowl and top with the chocolate, chia seeds and extra Du Chocolat.